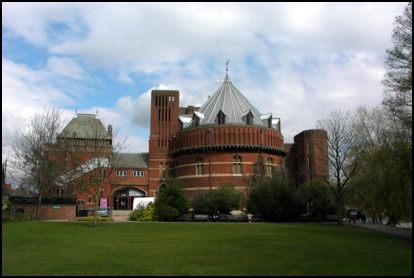 The Royal Shakespeare Theatre have performances most of the year. Macbeth, As You Like It, Romeo and Juliet and The Tempest to name but a few. See famous names such as David Tennant (next appearance 10th October 2013 - 16th November 2013), Patrick Stewart and Richard Wilson grace the boards too. Avonpark Guest House is near the Main theatre. This Theatre reopened in November 2010 after a major refurbishment, presenting a world class venue. Only seven minutes walk from our B&B, along The Old Tramway Walk. This is a pleasant shortcut away from traffic, taking you down to the banks of the River Avon. If however you just want to find out more about William Shakespeare (the Bard), you can visit Mary Arden's House, Halls Croft, Ann Hathaways Cottage, Shakespeare's Birthplace or Nash's House.